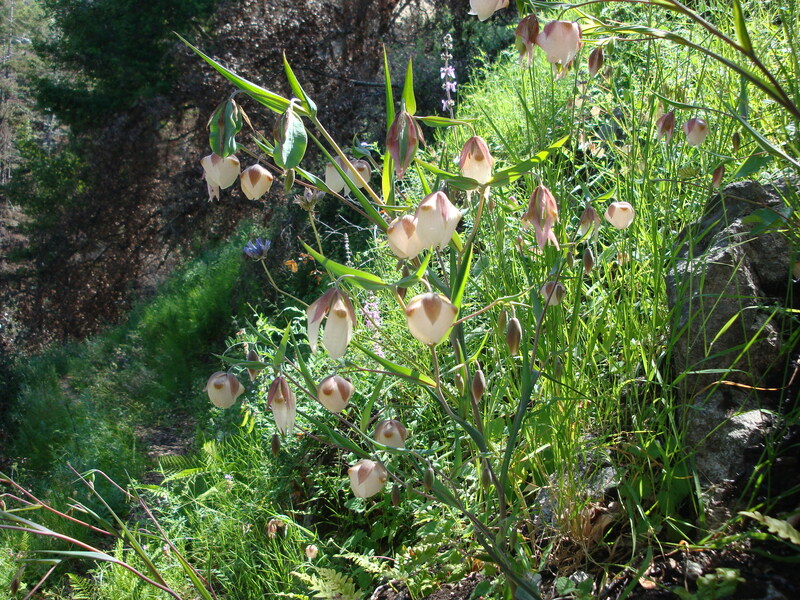 Globe Lilies, AKA Fairy Lanterns (Calochortus albus) growing along the Kirk Creek Trail. We’ve always kind of preferred the name fairy lantern, since these flowers definitely resemble delicate paper lanterns, both in their shape and in the way they hang so gracefully from their stalks. As they’re currently in the middle of a vigorous bloom, we’re making them our Wildflower of the Week. Like many in its genus, C. albus is exclusively Californian, growing throughout most of Alta California and the northernmost portions of Baja. It does not occur elsewhere. 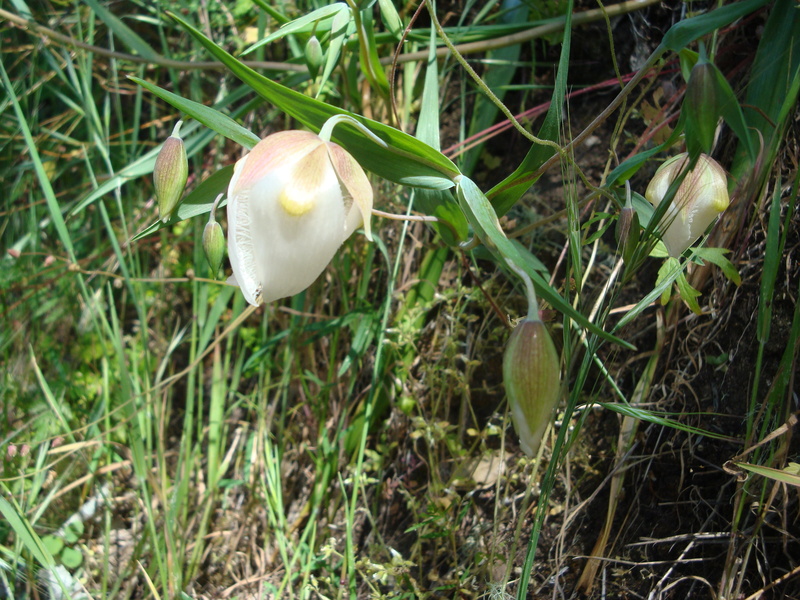 In fact, nearly 30 species of Calochortus have been recognized as endemic to California. Calochortus bulbs are edible and, in fact, saved the lives of Mormon settlers in the Salt Lake Valley during their initial years of crop failure (which is why the Sego Lily is now Utah’s official State Flower). C. albus is widespread in our area. Look for it in shady spots everywhere from Garland and Pt. Lobos to Big Sur and the Santa Lucia mountains. This entry was posted on Friday, June 8th, 2012 at 12:31 pm and is filed under Big Sur, Plants, Santa Lucias, Wildflowers. You can follow any responses to this entry through the RSS 2.0 feed. You can leave a response, or trackback from your own site. One of my favorites, along side Mariosa Lily and the native delphinium. We are so lucky to have such a variety.